A-HOTEL.com - Luxusné a lacné ubytovanie Giungano, Taliansko. Ceny a rezervácia hotelov v Giungano a v okolí. Toto je orientačná ponuka najviac rezervovaného ubytovania v destinaci Giungano za poslednú dobu a je radená od najlacnejšieho ubytovania až po najdrahšie hotely. Pre výber ubytovania podľa Vašich preferencií odporúčame vyberať z celkom 3 ponúk ubytovanie v Giungano. Po zadaní dát svojho pobytu a použitie filtra si môžete vybrať najlepšie možné ubytovanie v destinácii Giungano. Zadaný dátum pobytu je pre presný výber miesta na prespanie kľúčové, pretože sa od neho odvíjajú všetky on-line informácie o cenách a obsadenosti ubytovania. Vybrané miesta na prenocovanie (hotely, apartmány a pod.) je potom možné ihneď rezervovať. Surrounded by vineyards and olive groves, Country House Felicia is located in Giungano, 57 km from Salerno. Free private parking is available on site. Dating back to the 1600s Domus Laeta offers rustic rooms with antique furniture and views of the historic centre of Giungano. Its garden features a swimming pool and sun loungers. Casa Vacanza Da Peppino is set in Giungano and offers a garden. It offers free WiFi and a restaurant. Located in the historical centre of Trentinara, B&B Casa Antonia is 20 km from Paestum Ruins and 55 km from Salerno. Every room is fitted with a flat-screen TV. PietrAnticA is situated in a 17th-century ancient restored building in the historical centre of Trentinara and features terracotta floors, exposed stone, and wood-beamed ceilings. The B&B has a garden, lounge, and free WiFi in all areas. Set in the UNESCO-protected Cilento National Park, this Agriturismo features a large garden with outdoor pool. Its glass-walled restaurant serves macrobiotic Mediterranean cuisine, 15 km from Paestum. Featuring a garden with BBQ facilities and seating area, L’Aia B&B is located in a peaceful area in Trentinara. The property offers rustic-style accommodation, free Wi-Fi and free parking on site. Offering a garden, Affittacamere Cortina features accommodation in Trentinara. Some units include a terrace and/or balcony. Located in Capaccio-Paestum, B&B MoraLuna features accommodation with air conditioning and access to a garden. Free WiFi is provided. Located in Trentinara, Locazione turistica Tenuta Valente offers air-conditioned accommodation with a terrace and free WiFi. The villa features garden views and is 11 km from Paestum. Il cannito is situated in Capaccio-Paestum and features a private beach area, free bikes and a seasonal outdoor swimming pool. A hot tub and a bicycle rental service are available for guests. One-Bedroom Apartment in Capaccio (SA) is set in Capaccio-Paestum. Guests staying at this apartment have access to a fully equipped kitchen. Two-Bedroom Apartment in Capaccio (SA) is located in Capaccio-Paestum. The property features sea views. Located in Eredita in the Campania region, casa di campagna features a terrace. This apartment features barbecue facilities as well as free WiFi. B&B Monticello is located in the medieval town of Capaccio-Paestum, a 20-minute drive from the ancient ruins of Paestum. It offers a terrace, classically-furnished rooms and a typical Italian breakfast. Surrounded by hills, in a quiet area of Cicerale, B&B Panta Rei features free Wi-Fi throughout. Guests can relax in the garden. Set in a 16th-century building, Castello dei Principi is in Capaccio, a 15-minute drive from the Paestum archeological site. This hotel offers a restaurant, garden and rooms with free Wi-Fi. Featuring free WiFi, Residence Diffuso Contea Capaccio offers accommodation in the Medieval hamlet of Capaccio-Paestum, 11 km from Paestum ruins. All units have a TV, a living with a fully equipped kitchenette, bathroom and 1 or 2 separate bedrooms. Situated in Capaccio-Paestum in the Campania region, Casa Pausyllipon is a 2-star property boasting free WiFi. 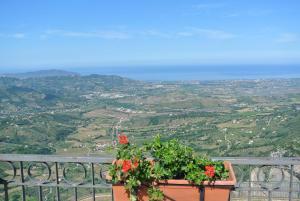 The property has sea views and is 13 km from Paestum. This eco-friendly farm house is immersed in the Cilento countryside between Paestum and Agropoli. It offers a restaurant and air-conditioned rooms with a TV.